Acne on brown-skin tones usually occurs in the late teens or early 20’s and has more severe symptoms. Acne on brown skin requires special handling. Brown-skin acne usually occurs later in life, most often the late teens or early 20’s, and causes more severe symptoms. Brown spots can linger on brown skin after acne has healed. People who have acne on brown skin usually do not respond well to microdermabrasion products, but they usually get good results from exfoliants. Even if you have brown skin, you need a light sunscreen if you are using acne medication on your face. It is especially important not to pick at or squeeze pimples on brown skin, since permanent scarring and discoloration can result. What’s Different About Acne on Brown Skin? Rich brown skin tones are created by melanin, a pigment in everyone’s skin in varying amounts. Melanin is made by specialized skin cells called melanocytes, which are found in the lowest basement level of the skin. Everyone has roughly the same number of melanocytes, but genetic differences affect how much melanin the melanocytes make. Different kinds of melanin can be gray, black, or brown. When melanocytes make only tiny amounts of brown melanin without gray or brown, the skin looks yellow or the hair looks blond. It takes the addition of black melanin for skin and hair to appear brown. Melanin in the skin fights inflammation. It acts as antioxidant to neutralize chemicals that can cause inflammation. Because the skin produces large amounts of brown melanin to fight acne inflammation, brown spots can linger on the skin long after acne has healed. These spots are more prominent on brown skin. How Can You Tell You Whether Acne Will Cause Skin Discoloration? After you have either a pimple or an ingrown hair, it’s usually followed by a black or brown spot. After you cut yourself, your skin turns brown, not pink. You tend to get more brown spots on your cheeks or upper lips than anywhere else on your face. If you are a woman who has taken the contraceptive Pill, starting contraception caused skin all over your body to break out in brown spots. You get freckles or sun spots on your face, chest, back, or arms. The first time you go out into the sun after staying indoors for several months, your skin doesn’t burn, it only gets darker. Or it doesn’t burn, and doesn’t get any darker, either. Your natural hair color is brown or black. There are lots of advantages to having brown skin. Brown skin is more resistant to sun burn and sun damage. The melanocytes in brown skin produce more antioxidant pigment to quench sunburn as fast as it happens, so sun damage to the skin is minimal. Brown skin has a warmer skin tone, that conveys muscle movements beneath the skin, making emotions more visible. And brown skin shows fewer signs of aging, such as fine lines and wrinkles. The downside of having brown skin is that it is more prone to brown discoloration, and it is also more prone to raised acne scars. In fact, a kind of acne known as acne keloidalis nuchae is almost exclusively found on brown skin. Many people who have brown skin don’t get mild to moderate common acne at all. Children with fair skin may develop acne as early as the age of eight, when their adrenal glands start making the raw materials for stress hormones. These stress hormones make fair skin much more vulnerable to inflammation after acne bacteria build up in pores. Puberty makes the effect even worse. Children who have brown skin tones often don’t develop acne during their teenage years, but when there is an excess of testosterone, a particularly nasty form of acne known as acne keloidalis nuchae may strike in the early 20’s. The people who are most at risk to this kind of acne are young men aged 18 to 25 who have “browner” brown skin tones. In this condition, ingrown hairs are attacked by the immune system. Skin grows over the hair, forming a raised, pinkish scar. These acne scars can occur anywhere hair is shaved, on the face, on the scalp, and in women, under the arms and along the bikini line. A doctor’s care is necessary for treating this kind of acne. But some people who have brown skin can get mild to moderate common acne, usually in their late teens. Mild to moderate acne on brown skin usually does not respond well to microdermabrasion cloths, pads, puffs, or scrubs containing any kind of fiber (such as coconut fiber or oat fiber) or granules (such as the polyethylene beads found in many cleansing scrubs). These products just increase the risk of spot formation after acne has healed. Mild to moderate acne on brown skin usually does respond well to exfoliants. These keep pores open while removing excessively brown skin. People who have brown skin can exfoliate with a medicated product (containing sulfur or resorcinol) made with salicylic acid, or an alpha-hydroxy acid exfoliant with a non-medicated cleanser. Sulfur is usually a good treatment for pimples on brown skin, although it tends to make pimples redder on fair skin. Brown skin is not always oily skin, and even people with brown skin who ordinarily have oily skin can have problems with dryness in dry weather. Cetaphil moisturizers work well on most brown skins. Brown skin does not need high-SPF sunblocks. An SPF of 15 is usually adequate. It is important to use sunblock on brown skin, however, when using acne medications. It is especially important to avoid the temptation of pick or squeeze pimples, since lasting discoloration of the skin may result. It is important to use hair gel and hair spray sparingly, since they can cause blemishes at the hair line. It is also important to keep hair out of your face, since these products and natural oils in the hair can cause acne. 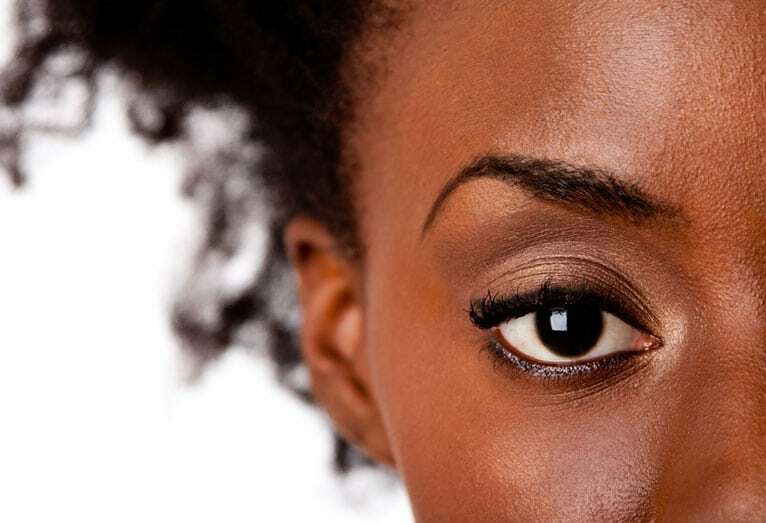 Sweat on brown skin reacts with makeup to clog pores. Be sure to remove makeup before exercise. Make sure everything that touches your face is clean. Change pillow cases at least twice a week. Use fresh towel every time you cleanse your face. Wipe down your work phone and cell phone with an alcohol-soaked pad at least once a week. All of these steps are critical no matter what skin care products you use to control acne. But the easiest way to get a complete collection of all the products that help control acne on brown skin is to try Exposed Skin Care.